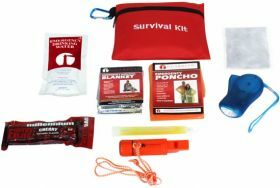 With the basics: food, water, poncho, emergency blanket, light, and a whistle, the kid's mini kit will allow your child to survive an unexpected overnight stay on their own. 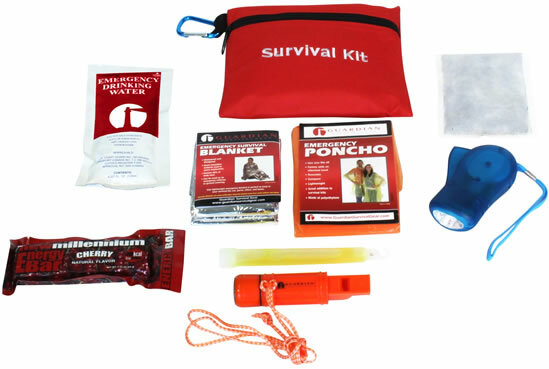 With the gear in this mini kit, they will at least stay warm and dry and have the means to signal for rescue. Food and Water: The food and water in this kit will provide adequate nutrition for a short time without access to additional supplies. These products have a 5 year shelf life.